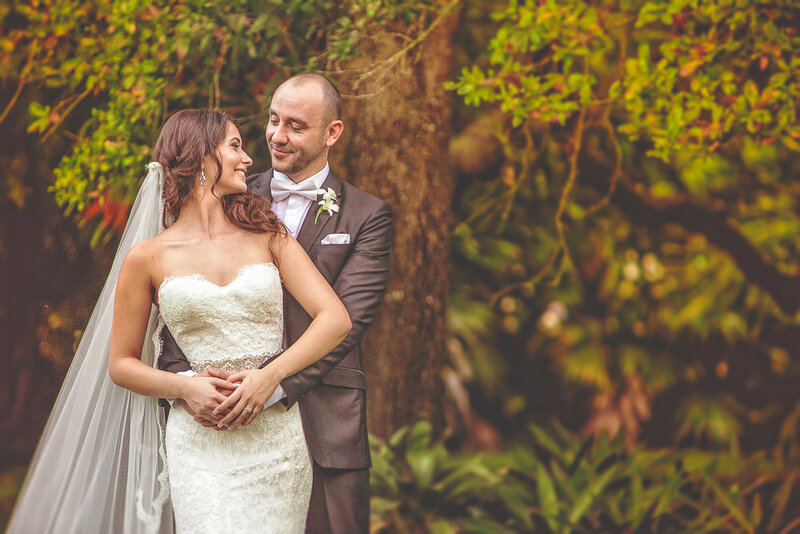 We hired Nat and Bryan to shoot our destination wedding in Costa Rica last January. As for the service...Natalie and Bryan met with us way in advance of our wedding. We talked about what our vision was for the day and they helped us to formulate a timeline. We opted for pictures prior to the wedding, which I wasn't sure about, but Bryan walked me through the pros and cons of a "first look" shoot. I can tell you that those are my favorite and the most intimate of all the pictures we took. They worked with our wedding planner to ensure that everything was seamlessly coordinated. They helped us to come up with all the pictures that we would like to take so that we wouldn't be stressed the day of to remember who needed to be where and when. They arrived and scoped out the location and provided us with recommendations for photo locations. The wedding day went by without a hitch and I never thought, "I wish someone would have gotten that picture" because either Natalie or Bryan were way ahead of me and already snapping away. Their professionalism and customer service is amazing, they're so sweet and accommodating. We had the best experience with Natalie and Bryan. They are very professional, friendly, responsive and fun! They made us and our entire bridal party feel at ease while taking pictures. We were EXTREMELY happy, over the moon, excited, etc. with all of our wedding pictures and they did an amazing job capturing every single detail. We can’t thank you enough!!! You will not be disappointed - HIGHLY recommended! The "PhishBooth" was an amazing idea for our wedding. Their unconventional 'booth' allowed us to keep great memories of our special night! You were fun, engaging, and professional! I would definitely recommend you guys to our friends but the pictures do the marketing on their own. The first time I contacted Nat and Bryan they asked that we skype or meet in person to ensure that we are a good fit for each other. I value customer service highly so for me that showed they truly cared who they work with and I felt so at ease when we met the day of the photo-shoot. My fiance and I are not very comfortable in front of a camera, but Nat and Bryan had so many tricks under their sleeves to ensure that we looked perfect in our pictures. The session went so smooth and the whole time we were laughing and enjoying the experience. The pictures turned out AMAZING. So many people have told me that they have never seen engagement pictures quiet as beautiful. This was all because Brian is a true artist. Every picture had the right lighting, distance, and focus. Bryan and Natalie were awesome! Felt like we had long-time friends taking our pictures. Great attitudes. So fun to work with Nat & Bryan Weddings. We were very nervous about our engagement session and they made us feel comfortable right away. Several friends and family members voluntarily commented on what a great choice we made with our photographers and that its evident that they do high quality work. Bryan and Nat are amazing! They are so fun to work with and deliver breath-taking unique photography. Everyone whose seen my photos are blown away by their quality and creativity. I have recommended them to many friends already and I plan to use them for any events in the future. They even offered us a day-after session where we were able to capture beautiful shots of my husband and I without the hustle and bustle of the wedding day. Words can't describe how amazing their work is, just check out their gallery online. We love you Bryan and Nat! Bryan and his wife are THE nicest people. So great to work with. We love our wedding pictures and would definitely recommend using them. They have been so great to work with! We had our engagement session at the Grove and although it was super hot and we were sweating we had a wonderful time and the pictures look amazing. Bryan does a very good job of capturing intimate shots and I was amazed by his creativity as he transformed one of our pictures right before our eyes. Nat & Bryan, thank you guys for all you've done. You have taken pictures for every photographic event in our lives. From our engagement, our wedding, to the maternity pictures of our second child. You've done amazing work and I told you this already, but you keep getting better and better!